With a little less than a month until the Vita launches in the US and other territories, Sony has announced another bundle, and it is for the 3G version of the Vita. It will feature all the items of the previous first edition bundle, which is still available the last time I checked. 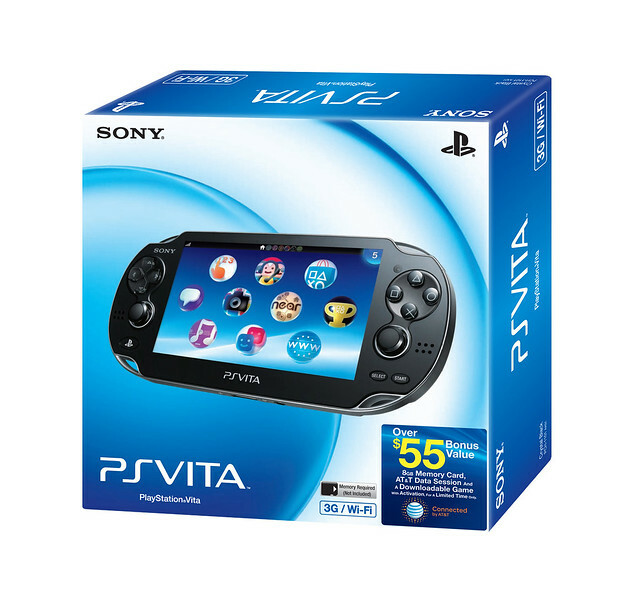 That included PS Vita 3G + Wi-Fi model, a limited edition case, 4GB PS Vita Memory Card, and Little Deviants game for $349.99 (MSRP). This new bundle includes all of that, plus a AT&T DataConnect 250MB data card, a 8 GB PS Vita memory card, and a PlayStation Network game, which comes along after you activate your PS Vita with the 3G and your PSN account. Sadly, this is only available in the US. There is no plans for this bundle to come to another country, but the regular launch data for those respective countries are still intact, so you can still get it when it comes to your area. If you would like to pick up this bundle, you should be able to get it online as a preorder, and get it in retail stores during the launch week, with a few days left over. This bundle is extremely limited, as shown on the PS Blog. So you should cash in on this when you can. Prices? This will stay the normal $300 dollars for the 3G/WiFi version, just like it will be when the Vita launches.